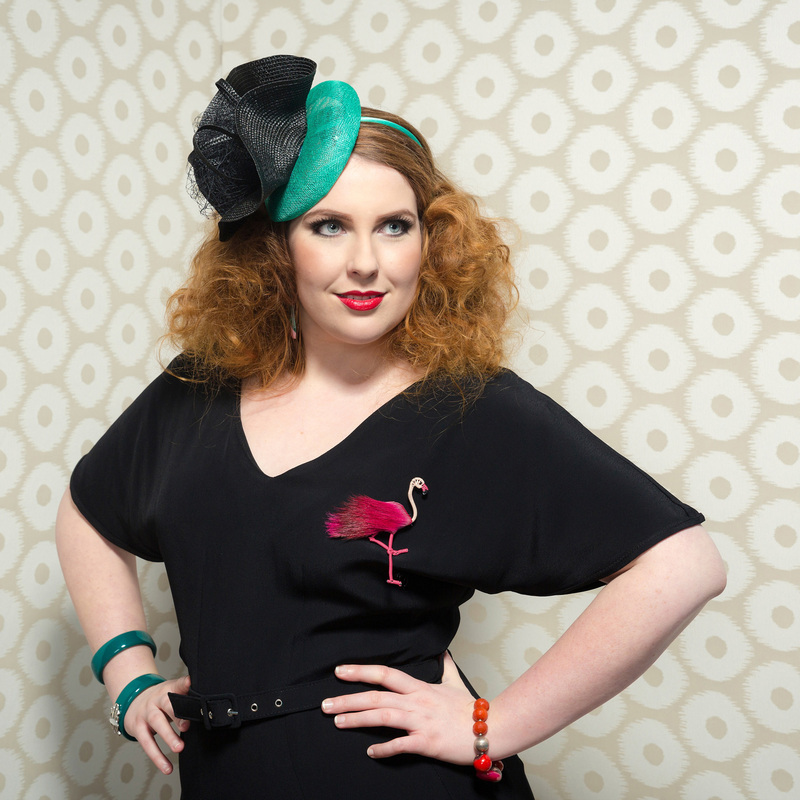 Suzie is wearing the Black Orchid Headpiece, designed to complement the Mia Day Dress in BLACK/emerald. This light and easy to wear Black Orchid Headpiece just slips on your head with a headband. It couldn’t be any simpler. Come rain or shine, you will look be a winner on race day..